Miniot's real wood Miniot Cover for the iPad 2 is the natural alternative to Apple's Smart Cover. The Miniot Cover does not use a magnetic hinge or spine yet manages to have the same exact functions as a Smart Cover. You can fold it back to make a landscape, portrait and typing stand all without using a rotating hinge. The magnets are strong and hold the Miniot Cover in place even while you hold your iPad 2 face down, shaking it like a mad man, or woman. It's smooth, it's wood, and it ships this month for €50 (about $70). 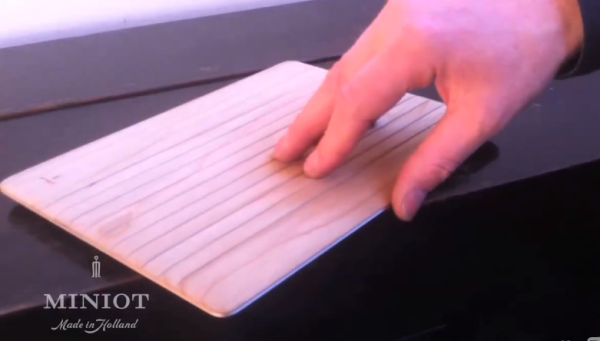 See the Miniot Cover in action right after the break.